Concert Band is comprised annually of incoming 9th grade students. In one short year, these students will build strong musical foundations that will catapult them into the rest of their high school band career. Rehearsal and performance skills are a stressed component of the class. Members are strongly encouraged to participate in the OMEA District XV Solo & Ensemble festival, typically held each year in February. The Concert Band performs at 3-4 evening concerts throughout the year and may travel to an adjudicated festival each spring. All Concert Band members perform at 5 basketball games as part of their grade. 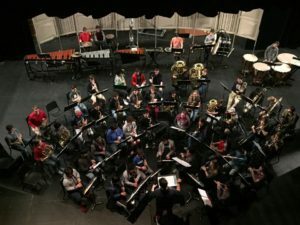 Additionally, the Concert Band members combine with the other two bands to make the marching band that performs for the Rose Festival events in the spring. Symphonic Band is an all-inclusive ensemble of 10-12th grade students. Students continue to build their musical and instrumental skills in a supportive environment. Members are strongly encouraged to participate in the OMEA District XV Solo & Ensemble festival, typically held each year in February. The Symphonic Band performs at 3-4 evening concerts throughout the year and may travel to an adjudicated festival each spring. In May, select members may be asked to perform at Westview’s graduation ceremony in June. Additionally, the Symphonic Band members combine with the other two bands to make the marching band that performs for the Rose Festival events in the spring. The Westview Wind Ensemble is the highest-level ensemble open to 10-12th grade students. Students are accepted by audition only; students not accepted shall participate in Symphonic Band. This ensemble performs the most challenging repertoire and demands the most skill and energy from its members. Students are expected to take private lessons and participate in the OMEA District XV Solo & Ensemble festival. Wind Ensemble members may concurrently enroll in Symphonic Band on a secondary instrument with the director’s approval. The Wind Ensemble performs at 4-5 evening concerts throughout the year, and travels to 2-4 adjudicated festivals each spring. Non-senior members will perform at Westview’s graduation ceremony in June. 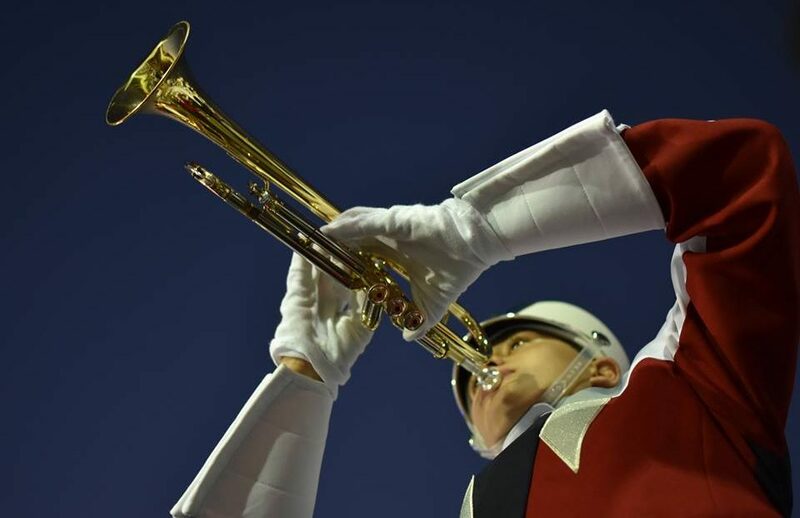 Additionally, the Wind Ensemble members combine with the other two bands to make the marching band that performs for the Rose Festival events in the spring.